Details The gilder's tip is a squirrel hair brush used to pick up pieces of gold leaf on the tips of the hairs. 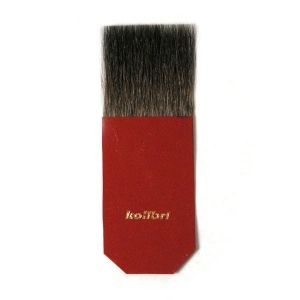 Our soft, single-thick pure squirrel hair brushes have long, stiff hairs. 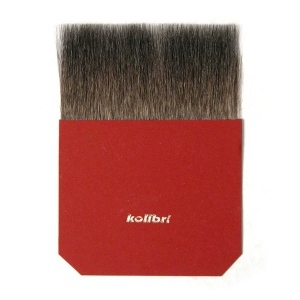 The 35 mm width brushes are wide enough to be used for cut pieces. A tip is not usually needed for composite metal leaf, which is heavier and typically easier to handle than gold, but may be necessary for silver leaf, in which case a tip with double thickness of hairs may be needed (which can be made by taping two brushes together).